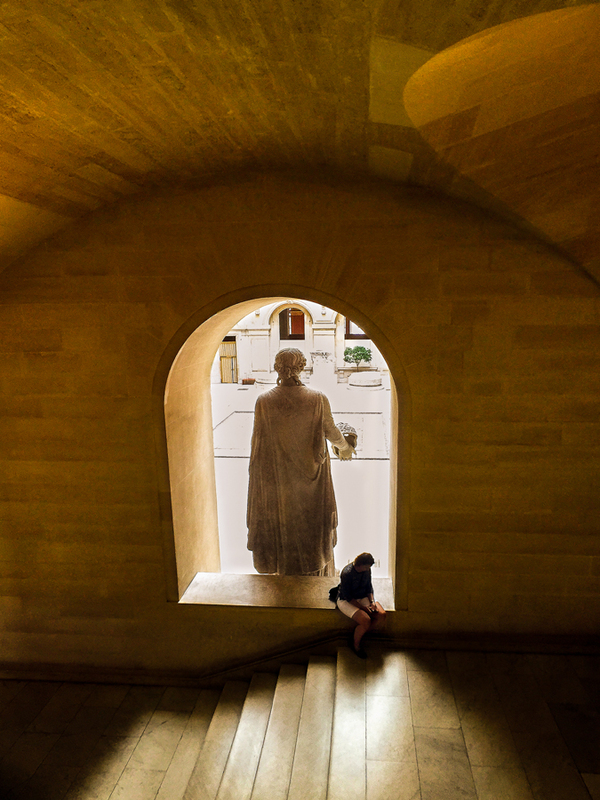 After a long day at the Louvre, a museum-goer finds a nice, quiet place to rest. I was attracted to this scene for a number of reasons: one, the light was soft and warm. Two, I loved the textures of the surrounding area. Three, the juxtaposition of the woman and the statue of Melpomene (the muse of tragedy) outside in the Louvre courtyard provided a stark contrast between the two. Four, I loved the shadows in the hallway. And five, it was great capturing a quiet moment at a place that is so often teeming with visitors.